Delivery times will depend on destination zone. Refer to the map below for delivery times estimates. All Orders ship from Ohio. 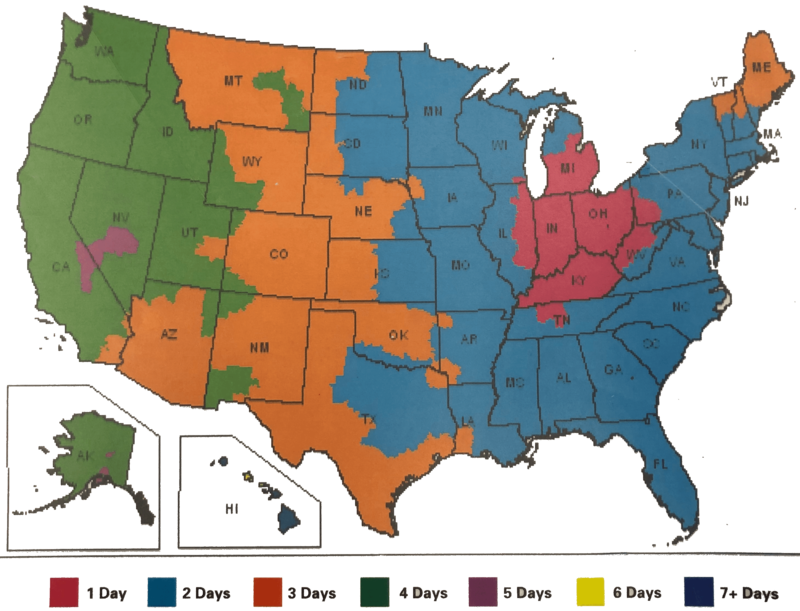 * This map illustrates service schedules in business days as of June 2012 for FedEx Ground Shipments. 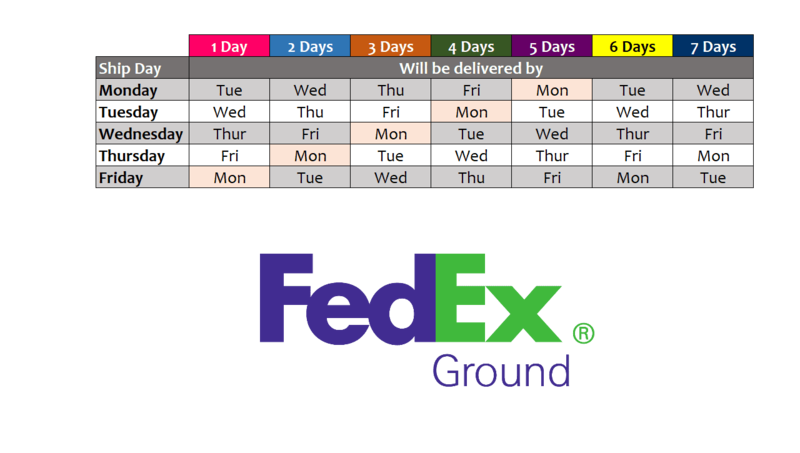 * For FedEx Ground – Saturdays, Sundays and holidays are not considered business days. * The map is a general representation of transit times.